According to IBM, over 40% of consumers got rid of their previous insurance company because they found that their features weren’t advanced enough to fit their needs. In order to stay competitive, companies must consider business models that put data instantly and directly in the hands of the end user. But disparate applications, out-of-date “legacy modernization” stacks, and different app platforms can slow this transition. 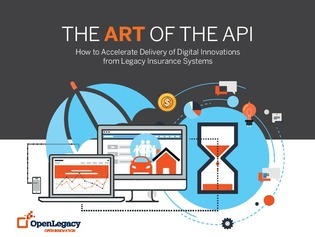 In this white paper, discover API software that helps create new business models by making the data and processing in your legacy or back-end applications available to modern applications – across mobile, web, and cloud quickly, cost- efficiently, and with low risk.